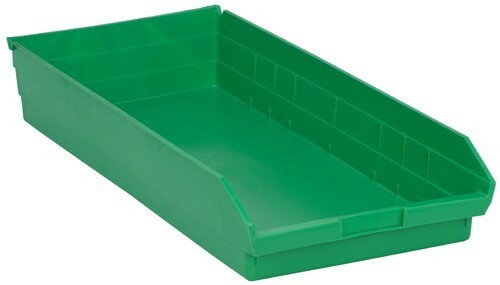 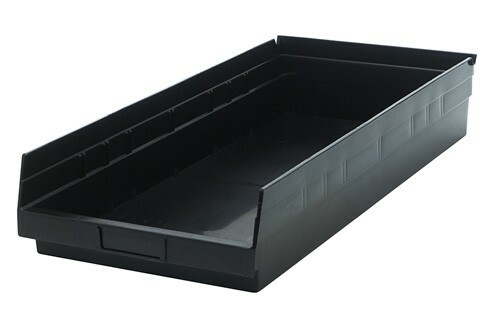 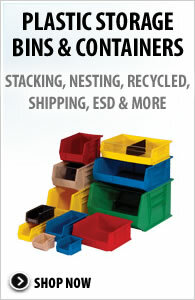 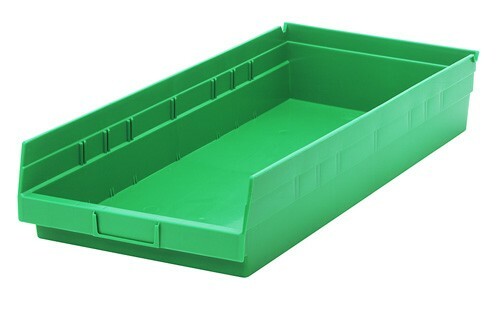 23-5/8"L x 11-1/8"W x 4"H Tough, durable, high density Plastic Shelf Bins are the industry standard for quality. 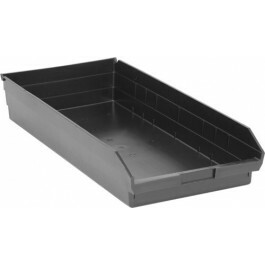 Manufactured in the USA, these durable polypropylene bins feature a molded-in label holder, built-in rear hanglock which allows bins to tilt out for complete access when on shelving. 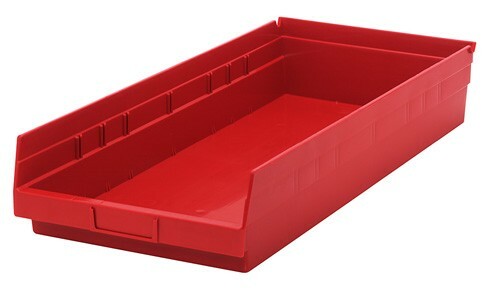 A wide hopper front allows complete access to the contents of the bin. 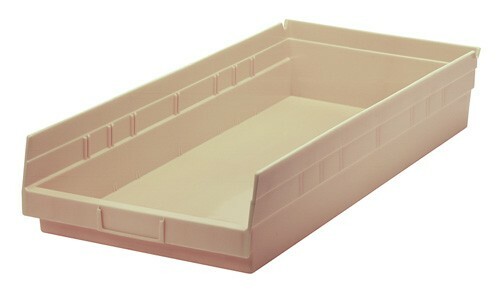 Edges are reinforced for added strength. They are designed for 12", 18" and 24" deep shelf units, racks or standard shelving. 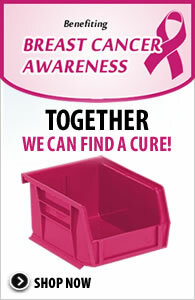 Bins are impervious to most chemicals. 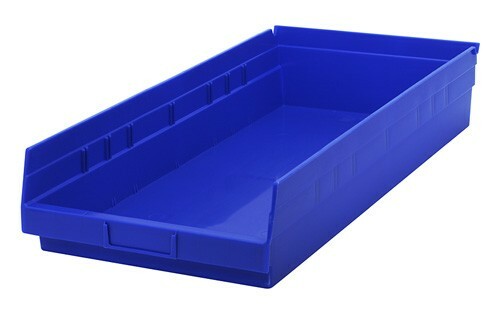 Available in Blue, Green, Ivory, Red, Yellow and Black. 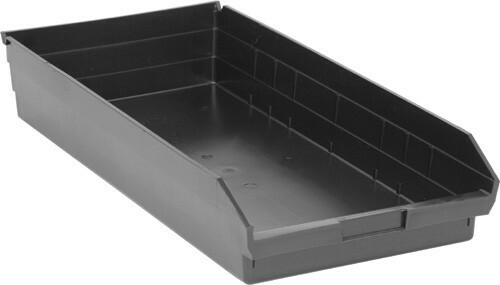 23-5/8" x 11-1/8" x 4"
22-1/8" x 10" x 4"